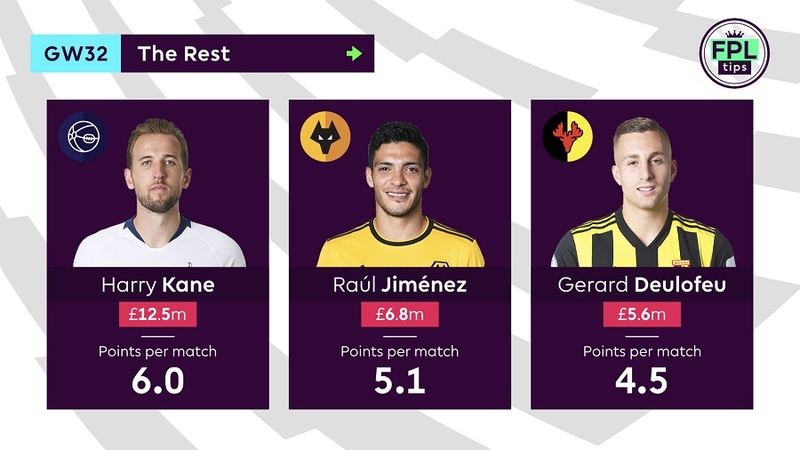 As the Double Gameweek fixtures were announced just last week, this article will provide you Fantasy Premier League managers with a quick overview several key players to consider from the teams involved, primarily to help those using the Free Hit chip. 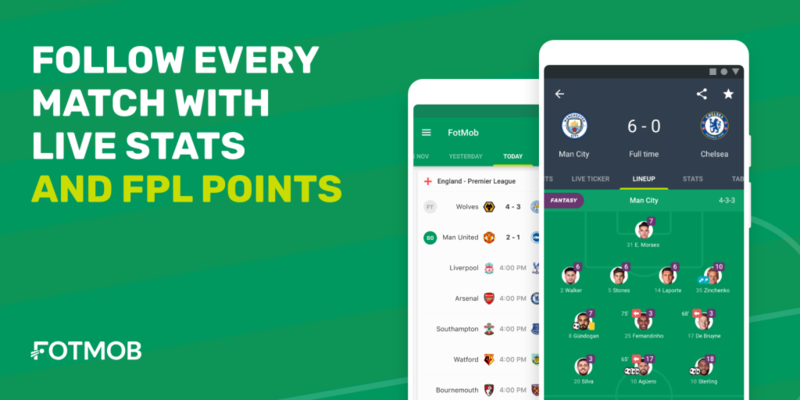 However, if you’re using an alternative strategy – maybe even your Wildcard, then hopefully you’ll still find this useful. 3 players from Man City will be high on the Wishlist, with fixtures away to Fulham and at home to Cardiff; two games where the league’s top scorers will be expected to run wild. 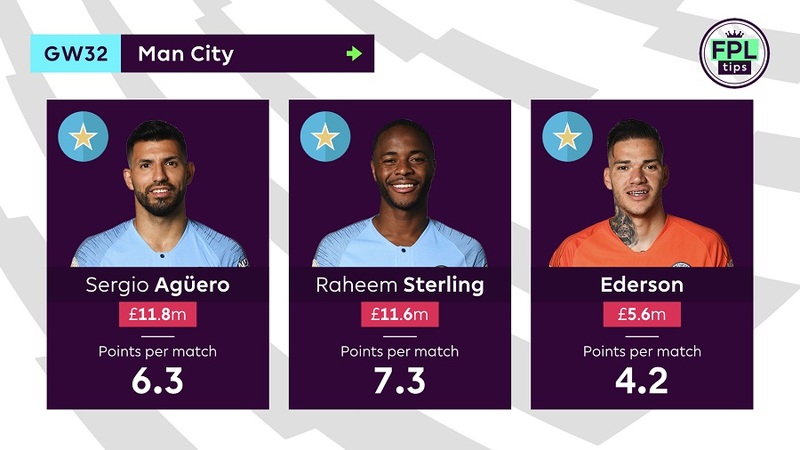 Agüero has 27 FPL involvements this season and only Sterling has directly contributed to more goals (28) amongst Premier League players. The Argentine will be fresh for the Double Gameweek, having not been selected to feature for his country over the international break – by using eSports gambling sites comparison you can find odds of 11/1 for Aguero to score a hatrick on Saturday. Guardiola’s side have kept 14 clean sheets this season, with Liverpool (17) the only side to record more and Ederson offers the most secure way into the Man City backline. Alternatively, David Silva could be worth the risk over a defender, given that he’s started in 6 of the last 7 league matches, including back-to-back starts in Man City’s previous Double Gameweek. Having now retired from international football, the Spaniard will also enjoy an extended break ahead of the trip to Fulham. Chelsea also have a couple of very favourable fixtures, travelling away to Cardiff before hosting Brighton at Stamford Bridge. 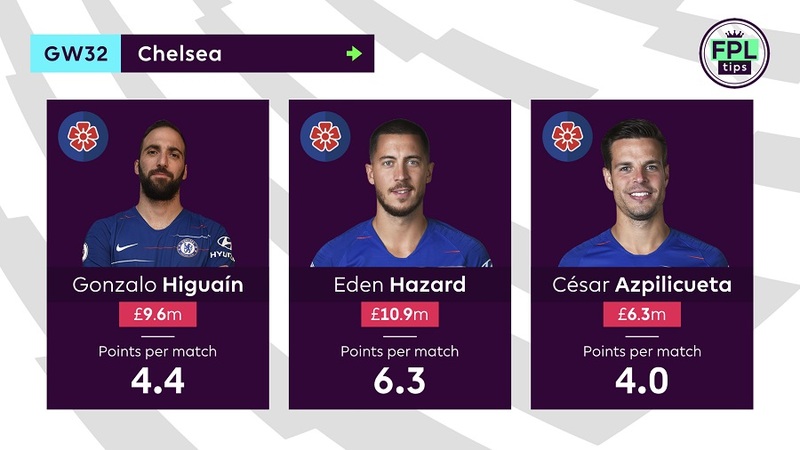 Hazard has 24 FPL involvements to his name this season, with only Salah (26), Aguero (27) and Sterling (28) producing more and the Belgian returned 33 points in the reverse fixtures. For those looking to double up on Chelsea attack, Higuaín is the man to consider. Since his arrival, no teammate has taken more shots inside the box (20), while only Hazard has fired more efforts on target (9 to 8). The Blues rank 3rd best in the league with their tally of 12 clean sheets this season, while only Huddersfield (6) have scored fewer goals than Cardiff (8) and Brighton (10) this calendar year. Azpilicueta has played every minute in the Premier League so far this season, registering 5 assists and looks the most secure way into the Chelsea defence. David Luiz and Rüdiger have been the preferred centre-back pairing, but with 3 league starts this season, Christensen offers Sarri a possible rotation option. Manchester United have the advantage of facing two teams who’ll almost certainly have one eye on their FA Cup semi-final meeting, Watford and Wolves. Rashford has been nursing an ankle injury since the draw with Liverpool last month but will be hopeful of featuring in the Double Gameweek after withdrawing from international duty. Since Solskjaer’s appointment, the forward has returned 6 goals and 2 assists in 12 appearances and his tally of 21 efforts on target ranks 3rd best in the league. 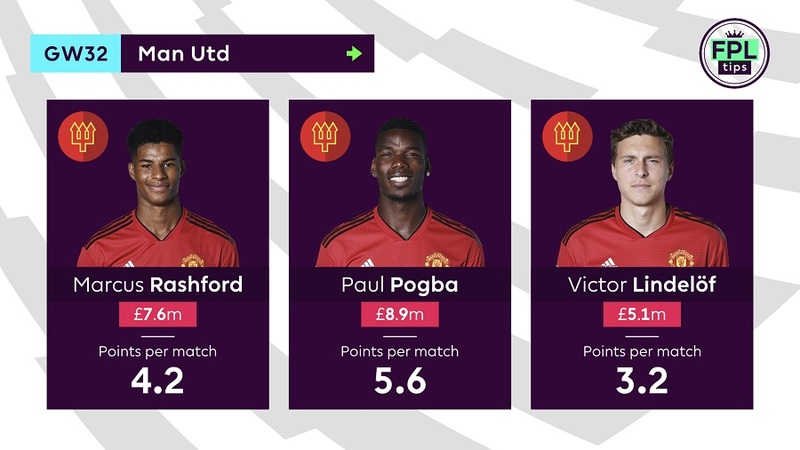 In the same period, no player has produced more FPL points than Pogba, with the Frenchman returning 8 goals and 7 assists and also ranking 1st for goal attempts (47) and efforts on target (25). Victor Lindelöf appears to have nailed down a starting spot at centre-back, having played 90 minutes in 12 of the last 13 league matches. The Swedish defender did, however, withdraw from international duty due to personal reasons, with his wife expecting their first child at the start of April. Depending on fitness, Lukaku and Martial offer alternative options amongst the United attack, while David de Dea provides the most secure way into their back line. They’ve kept just 7 clean sheets this season but only Man City (6) have kept more than their 5 clean sheets this calendar year. Crystal Palace have an appetising home fixture against Huddersfield, a side that sit bottom of the league table and have conceded 57 goals this season; only Burnley (59) and Fulham (70) have shipped more. Their 2nd fixture is more tricky, away at Spurs in what will be their first game in the new stadium and the last 5 league meetings between the sides have ended in a 1-0 defeat for the Eagles. Zaha is nursing a hamstring injury but the forward has been selected for international duty. He’s provided 13 FPL involvements this season, including 5 goals in his last 6 matches, so comes into the Double Gameweek with form. He’s won 4 penalties this season, level with Salah and no Premier League player has won more than the pair. That also bodes well for Milivojevic, who’s scored 8 of his 9 goals from the penalty spot this campaign; 3 more than any other player. Schlupp has started in a midfield role across the last 6 Gameweeks, despite being listed as a defender in the game. His 3 FPL involvements during that period ranks joint-top amongst defenders, along with Robertson and Alexander-Arnold and his 9 attempted assists can only be bettered by Lucas Digne (13) and the Liverpool duo (12 for Alexander-Arnold, 11 for Robertson). Batshuayi has 2 goals in his last 4 matches and will provide a slightly cheaper alternative upfront, particularly if there are doubts over Zaha’s fitness, while Wan-Bissaka offers a more ‘nailed-on’ defensive pick. One of the key dilemmas will be whether or not to include Spurs players in our Free Hit selections and ultimately, on current form, Harry Kane looks to be the one, if you are going to go there. Spurs have scored only 3 goals in their last 4 league matches, with each of them coming from the forward. Jiménez, Jota and Doherty have been key players throughout the season for Wolves but with an FA Cup semi-final coming up directly after the Double Gameweek, it’s possible that we’ll see some rotation during the two league matches. The same has to be said for Watford, which puts a big doubt over the in-form Deulofeu, despite the Spaniard returning 4 goals and 2 assists in his last 4 league outings.